It’s a common saying that good things come in small packages and today, Canon U.S.A., Inc., a leader in digital imaging solutions, demonstrates this with the introduction of the new PowerShot SX70 HS compact digital camera. 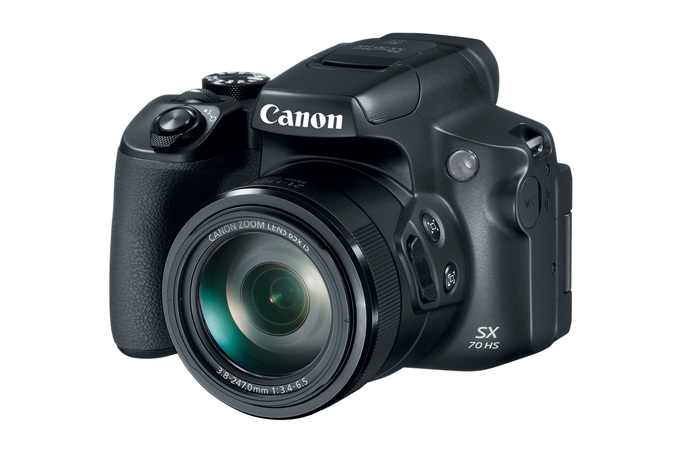 Featuring a 65x Optical Zoom Lens (equivalent to 211-1365mm1), 20.3 Megapixel2 CMOS imaging sensor and 4K video capabilities, the PowerShot SX70 HS camera is an ideal fit for anyone who wants powerful optical performance in a compact package. With a minimum focusing distance of 0cm3and a zoom up to 2730mm1 (with ZoomPlus), the PowerShot SX70 HS allows users to create beautiful close-ups and stunning wide shots without changing lenses.